Sometimes, it feels like the Lord is taking a long time to come to my rescue. The night before last, I lay awake in my bed listening to the winds of Hurricane Sandy howl and throw acorns at my window. I couldn’t stop thinking about waters rising, trees falling, winds blowing. I think I got about two hours of sleep that night. God and I have some of our best talks on those nights when I don’t sleep and 10pm to 7am pass by with me awake and exhausted. I’m at my most vulnerable then, because I’m tired and frustrated and weak. The ground of my heart is soft and fertile and ready because I’m not defensive or busy or anything less than desperate. 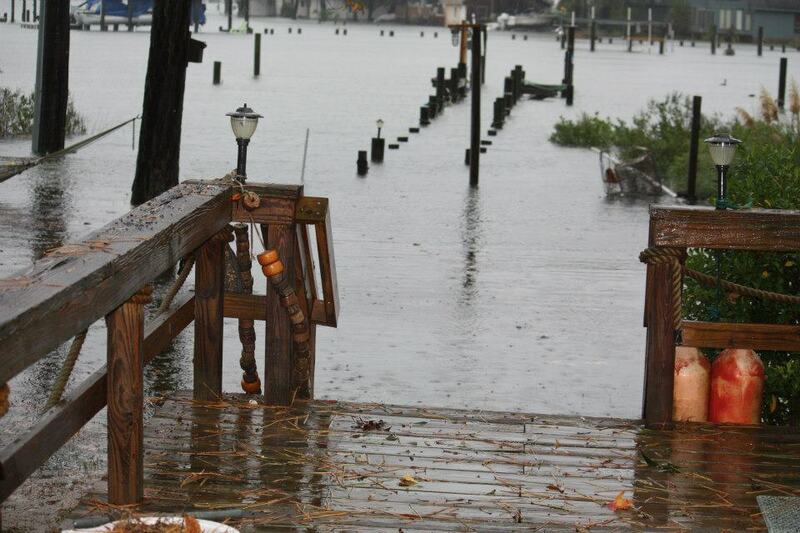 We fared Sandy pretty well. Our loved ones did too. Water came close but did not flood, trees fell but not on anything of worth. Now we pray for the parts of the coast that have been so much more profoundly affected. There’s a particular thing we’ve been asking (or some might say, nagging) the Lord about and sometimes I wonder what He’s waiting for. Doesn’t it seem sometimes like God waits until the very last moment to save the day? Things get worse and worse or harder and harder and just when you feel so stretched and so maxed out and like you can’t take it anymore…well, then you’re stretched a little bit further…and that’s when He does a miracle. I’m waiting expectantly for our miracle, because I know that God will come through. No one who waits on the Lord will ever be put to shame. And in this waiting and trusting process, I was remembering a me from a year ago. A me who would’ve been panicking. A me who would have flung wide the front door and called loudly for Poor Me and Discouragement. A me who would’ve been shaken her fist at God and demanded to know just what in the world He was trying to do. And I’m not ashamed to say that we’re in an uncertain time in our finances. That we’re not sure what steps to take or where to go next or what to do. I’ll be the first to say that our finances have faced attack after some decisions that we made to serve the Lord’s kingdom. I know it isn’t “done” to talk about money, it’s not politically correct or even polite, but it is real. I’ll bet many, if not most, of my readers can understand money trouble. John often says that when the money troubles loom, he thinks about Nora and how God rescued her. He saved her little life and has caused her to flourish. He says that our financial problems seem awfully small in comparison to those miracles. Thankful. He’s thankful for the daughter that is still growing, that has beaten odds and that is preparing for her life on earth. We’re thankful for our home. For our family, for every one of these crazy kids. We’re thankful for the laughter that fills this house, for the puns that flow endless around our dinner table, for the prayers of two very little girls who already know that God hears them. 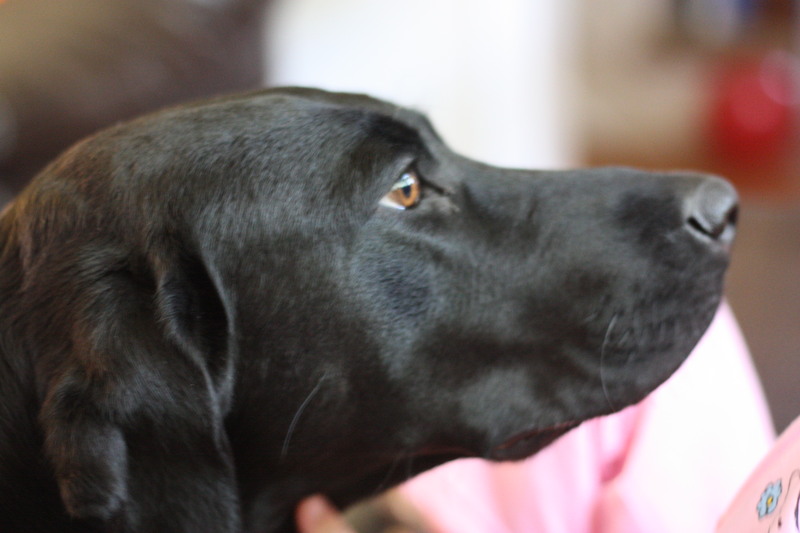 We’re thankful for our silly dog who lets Claire pull on her face and on her ears with tail wagging. We’re thankful for the shoes that line the stairs, for toys that are hazards in the floor because they are a sign of happy, healthy children. We’re a thankful people here in this house. These momentary light afflictions are just that…and they are producing for us an eternal weight of glory beyond compare. He just might not do it as quickly as I’d like him to. “I will restore the years the locusts have eaten.” It’s Joel 2:25 and I stand on it every day and believe with all of my heart that God will do what He says He will do. In the wake of my divorce, it was hard to see restoration ahead. And it was hard to see what God was going to do. Sometimes it was hard to see if he was going to do anything. And in the couple of years to follow, as things got tricky with where I was going to live and which kids were going to live with who and hurting hearts and bitterness and anger clouded good judgement…restoration was something I longed for but couldn’t see. Many months later, a man I’d never met in person quoted it to me over the internet. And months after that, that verse would be proclaimed as we celebrated the covenant of marriage. John even wears that verse inside his wedding ring. 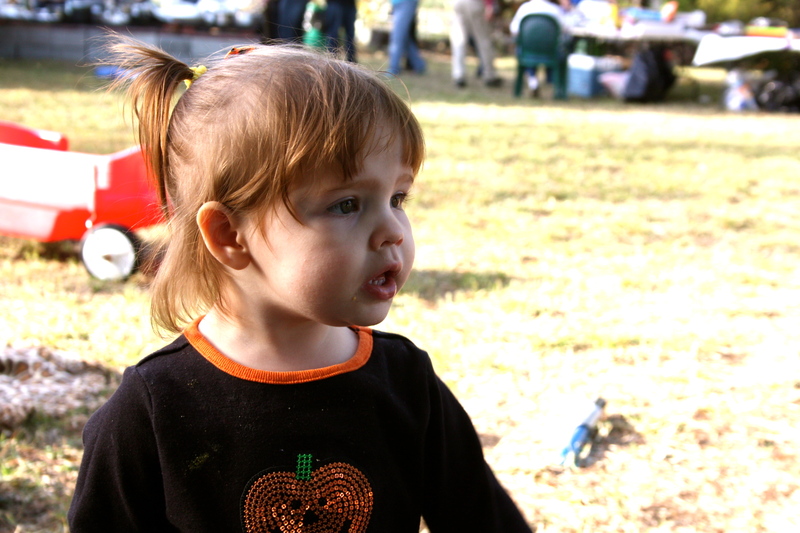 We celebrated it again on October 26, 2010 when our Claire Victoria Marie Carter was born. She was a long awaited dream for John and his family. He did not marry until his late thirties and as his mother’s only child, her dream of grandchildren sometimes seemed like it might not be realized. (Of course, then all of US came along and now her house is bursting with grandchildren!) John has said he’d begun to believe he maybe wouldn’t find a wife and have babies…and that would’ve been a terrible shame because he is an excellent father. He teaches kids what matter most and he doles out unconditional love to all six and he enjoys the glorious chaos of our large family. But it was a different sort of experience to have one from birth, one you watch grow and cry and learn and change. A baby that was half John and half me. Claire is part of our restoration story. Just like Peter and Asher who are in heaven. Just like Nora who will join us in January. 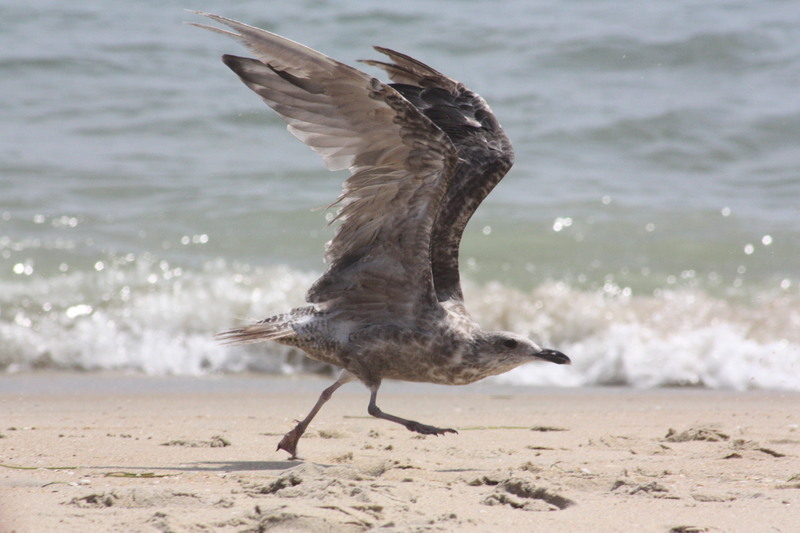 Each life has eternal significance and has been a gift from God to us. That’s what we celebrate today. We celebrate a quirky little girl with auburn hair and a huge smile. An assertive, bossy, little know it all who says the funniest things! We celebrate the perfect fit that child #5 and girl #4 is for our family. We will celebrate her Claire-isms: Cuppa juice (which is chocolate milk), her intolerance for dirty dishes on the table (ugggghhhhh! ), her deep love for washing dishes at the sink at Nana’s, her love of Dora, Veggie Tales, Yo Gabba Gabba and Barney, he affection for her shoons, especially her light up ones, the way she loves to read books like Daddy and she loves to write like Mommy, her beancy (blanket), the way she loves to snuggle up in her crib, her aversion to affection (kisses and hugs are doled out quite stingily, but she’ll talk on the phone to you all day)…and a million other things that make Clairey who she is. She is one of a kind and she’s done all she can to keep me humble about my mothering. Oh, and she’s left handed like me- the first of my children to be! She’ll tell you she has fat feet, she has no problem telling the dog, “Go, Caroline!”, she bosses Sammy around and when he gets upset, she says, “Sammy! Why you cry!” She loves to hold her cousin Ezra and will say to Nonnie, “I wanna hold it.” She loves to play at Meema and Pappy’s. When Meema comes by after work, she tells Meema, “Sit on the couch.” She sees no reason whatsoever to hold my hand while we walk to the bus stop or in parking lots but has finally, begrudgingly agreed to do so…if only for whatever bribery I’m offering. Sometimes she does naughty things and puts herself in time out and I think maybe she just decides the offense is worth it. She LOVES her siblings and loves to list their names and ask where each one is. She is happiest when we are all together. She has a special closeness with Lila and the sound of their giggles when they should be going to sleep make my heart swell. They remind me so much of Julia and Aubrey. Claire has been looking forward to her happy day. She is excited for her friends to come to her party. She can’t wait to blow out the candle. She is hoping for balloons. She is such a blessing and I’m so grateful that she’s ours. Happy birthday, sweet Clairey. We love you! It’s not Murphy’s Law…but it’s like that. Lately, I’ve said several things to the positive and then something negative about that very thing happened..
1. “Caroline is really getting to be such good dog.” I said, to a cousin at the Blanton Family reunion. And she was! She wasn’t jumping up on people as much, she was able to be loose in the house throughout most of the day instead of sequestered to the laundry room. I was really feeling good about how well she was doing. And then yesterday, Julia was putting her out on the yard on the chain (JUST for dinner time, don’t call PETA. She spends maybe an hour a week on that thing, if that, and it’s only for now until we get her electric fence in and it’s only when we have company for dinner. We just deal with her head at eye level at the dining room table but we don’t expect our guests too.) and she was being hyper and bananas. She ended up somehow getting the chain (it’s a plastic coated tie out) wrapped around Julia’s finger and the metal clip bounced up and knocked the mess out of her. 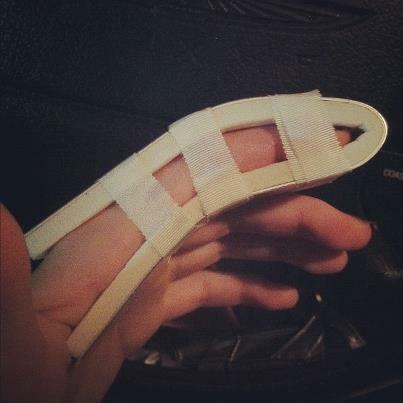 Julia ended up having a broken finger. She literally had the biggest, longest tantrum I’ve ever seen her have the very next night. At home, you ask? Nope. At Food Lion. 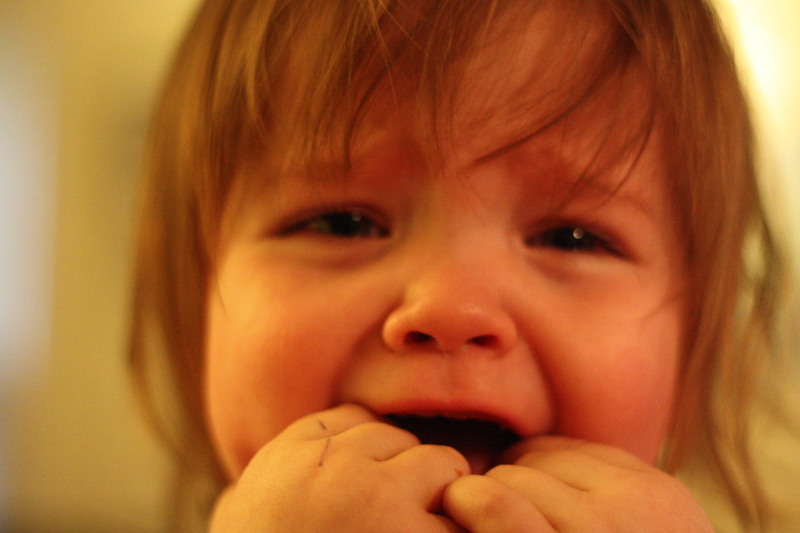 This is not a picture of the actual tantrum. It’s a picture of a tantrum from another day. 3. And THEN! 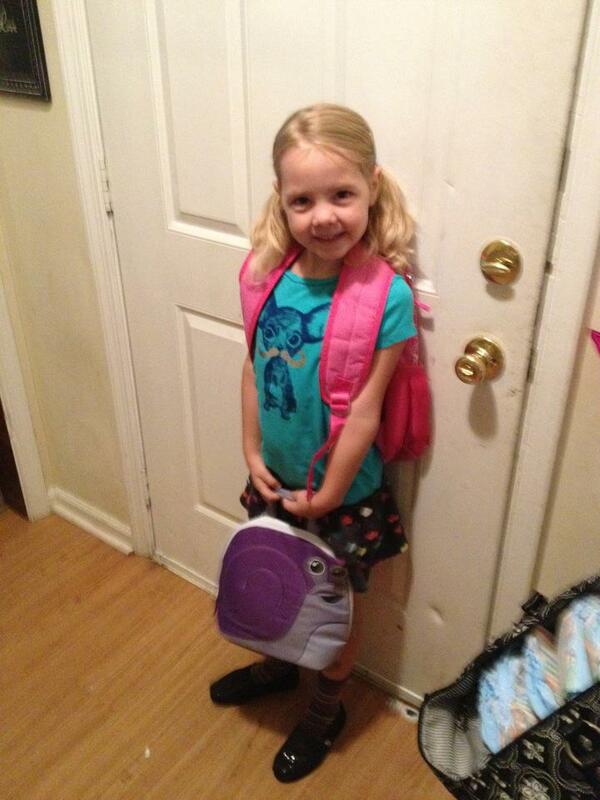 Monday night, John and I were talking about how glad we were that Lila was adjusting so well to kindergarten. That she was really doing far better than we’d expected and we’d had almost no behavior issues with her and she ‘d been sweet and loving and just a joy to be around. Well, do you know the very next morning, she didn’t want to get dressed, she didn’t want to eat breakfast. She had a terrible attitude, she didn’t want to go to school and everything I said to her was the dumbest thing she’d ever heard of. 5. Final thing…you know I hadn’t been sleeping, right? Well, I’d found a solution. One, the Ambien helped break the not sleeping cycle. 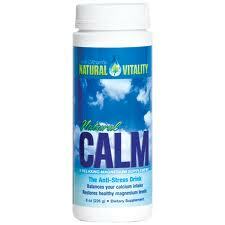 Two, the Natural Calm has basically stopped my legs twitching and jumping. It’s been fantastic. I’ve been sleeping really, really well. I only needed the Ambien twice! So, I was singing the praises of the Natural Calm to my aunts at dinner last night. Guess who didn’t sleep last night? That’s right, me. It wasn’t as bad as it was before the Natural Calm and the Ambien. I was only up for about an hour and a half in the middle of the night…but it wasn’t the 7-9 hours of sleep I’ve been getting! So, what’s going on? Something is going on! And I started to get irritated about it. Poor Me peered hopefully through my front window. But I saw her and I stopped myself. No. No Poor Me. I closed the blinds on her and I said, “What are you trying to show me, Lord?” And He is faithful to answer the question. 1. I might think I have something figured out, but life is unpredictable. What will I choose in those unpredictable times? Will I choose thankfulness? Will I choose to laugh and move on? 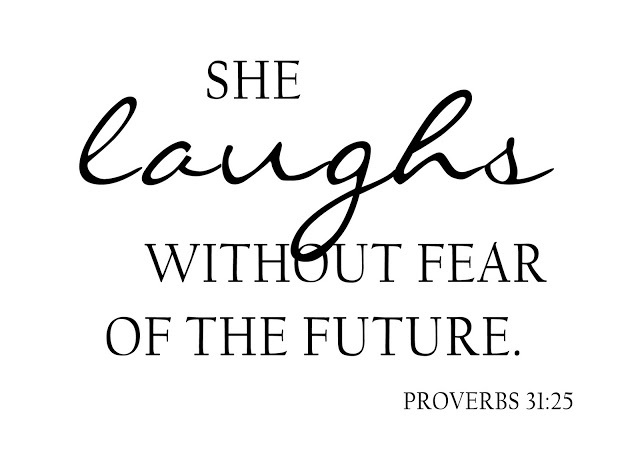 The Proverbs 31 woman “laughs with no fear of the future”. Will I do that? Knowing that tomorrow is another day and tomorrow, things will probably change again? 2. I’m never going to have it all together. I can do my best as a mom and as a dog owner and as a steward of my body and as everything else I am…but I’m never going to get it 100% right. I was trying to encourage another mom not too long ago, when she was feeling guilty and feeling like she’d failed. I told her there was no perfect mom. Perfect mom is a myth! We’re all just doing what we can. We’re all just figuring it out, day by day, and some days are better than other days. Some days, we do our very best and the kids go crazy anyway. What more can we do? And maybe we have days where we didn’t do our best at all, well…we can start over tomorrow. 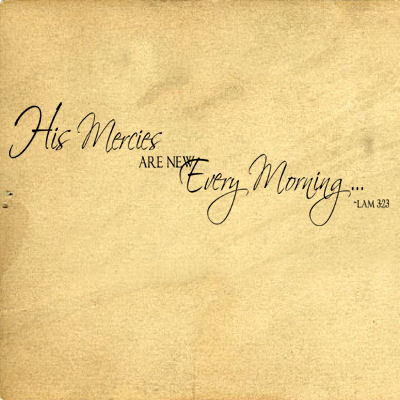 His mercies are new EVERY morning…not just some mornings. Great is His faithfulness. 3. You have to be content with your life no matter what’s shaking it up. 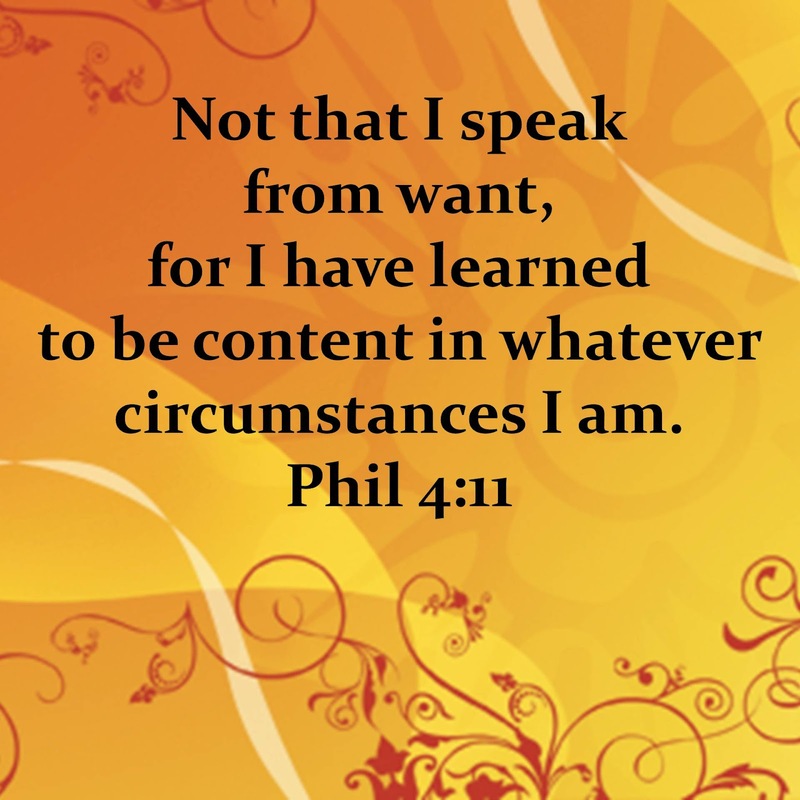 Contentment is a gift that God will help you get. And it’s a good gift, but it’s a discipline and a practice. So…I guess I’ll keep on saying those positive things about my kids and my family and my dog and my life. It’s part of being thankful- celebrating the good. I’ll keep on believing for good things and I’ll stand on those new mercies and ask God to help me to be content. And I will laugh with no fear of the future. 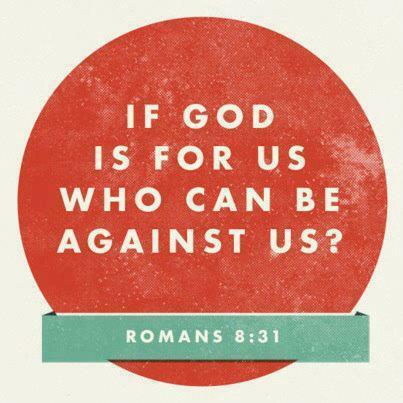 Because God is for me…so who can be against me? I’m tired. I haven’t had a normal night’s sleep in at least two weeks. Maybe a bit longer. Oftentimes in pregnancy, I develop restless leg syndrome which spends all night every night jerking me awake. And once I get woken up too many times, I guess adrenaline or cortisol or something kicks in and I get too awake and antsy feeling to sleep at all. The nights pass by lonely and frustrating. Here’s an example of a typical night. So, I’m tired. And for whatever reason, I’m not finding a solution. I’ve started a magnesium supplement that will eventually help (I hope) and I’m trying every homeopathic thing I can think but I’m tired. And yesterday was a discouraging day. I started bleeding (not a lot, just a little) on the way home from the Outer Banks on Sunday. I monitored it all night but then the O.B.’s office called the next morning. The nurse had news of Thursday’s glucose test…which I failed spectacularly. So, I have gestational diabetes and I’m bleeding and I am not sleeping. I feel a little borderline as I tell the nurse about the bleeding. She says she’ll ask the doctor and call me back. Bottom line, I must go to the hospital and be monitored because Nora is viable now and bleeding might not mean miscarriage…it might mean micro preemie. At the hospital,they aren’t sure where the bleeding is coming from or why. I’m not having contractions, my water hasn’t broken. It could be literally nothing or it could be a precursor to preterm labor, placenta deterioration or who knows what else. I am given a steroid shot and I must return today for another one. The steroid shots will serve to develop very immature lungs. Just in case. At this point, I am discouraged and frankly, a little bit mad. We’re dealing with some financial struggles, which is frustrating. We want to do so much for the Good Samaritan orphanage. It’s so hard to see those needs and be unable to meet them. We’ve got a plan or two and it will of course be all right…because all that we have is His anyway…and He knows our needs. He has promised that if we are faithful to Him in our finances, He’ll make sure we are provided for. That’s the kind of Father He is. And so, I’m choosing (and it is an act of discipline) to surrender that worry to him. But it wants to sneak into my mind and wreak havoc, to usher in Discouragement. So, it’s an ongoing process of surrender and it’s been good for me- a stretching of my faith. I have not given in to despair over it, or even really very much worry. I keep seeing those storehouses in heaven and I know that God will honor our financial faithfulness to Him. His words says He will. But this other stuff. I’m tired of Nora being in danger. I’m tired of problem after problem with this pregnancy. I’m still sad about her twin and I’m even often still sad about the loss before that too. I’m tired of this kind of hard thing being my husband’s main experience with bringing our children into the world. Of the four he has fathered, we have one here, one in a fragile state and two in heaven. He’s a wonderful father and an excellent man of God and I wish this whole thing had been more easy and less hard on him. And, I want my babies. All of them. I want Nora to be born safe and sound. I want to hold her and raise her and tell her of her destiny. And we are not guaranteed anything. Not just us, the Carters, but us, the people of God. Loving God, knowing Him doesn’t mean the absence of pain and heartache and trouble. But you know what? I like it because it’s real and it’s true. And He told it to us that we may have peace. Yes, that we may have peace knowing there is trouble in this world, peace in knowing that we will endure hard things. No matter how “good” we are or how “bad” we are, no matter how much planning or striving we do…we’re going to face hard things. But He has told us this that we may have peace. And the peace is this- He stands with us. He walks with us. He sees the end of the story and in the end of the story, He has overcome the world. So, I’m not doing it. I’m not going to get discouraged. I’m going to process through the anxiety of the past days, and I’m going to process through my irritation at having Gestational Diabetes (which I’ve never, ever had, in six kids and nine pregnancies.) I’m going to give that to the Lord and you know what? I’m going to be honest about where I am. But I’m not going to lose hope or lose faith or open the door to Discouragement and Poor Me. It’s a fine line and I’m going to have to navigate it while clinging to God…but I think that may be the whole point anyway. He has overcome the world. And He loves me. And He loves Nora…and Asher and Peter and Claire and Lila and Chase and Aubrey and Julia. And He will not forget any of us. I’ll bet you thought I was NEVER going to get to blogging today, but here I am! I’ve had a busy day and I didn’t want to dash this post off…this is important stuff. John and I (and some of our friends) are undertaking a special project, a very special project. A very special project that we believe God is giving to us as a gift. A gift to give back to Him, a gift to change us, a gift to refine us, a gift to serve the world. Joel 2:25 Worldwide Outreach exists to be the hands and feet of Jesus by bringing help, healing and hope to the hurting and disenfranchised people of the world. We believe that God wants to use us, that He wants us to serve the ones He loves, that He wants us to do the practical to bring hope and help to the hurting and the broken and those who have no voices and no one to speak for them. We are in the beginning stages of creating a non-profit organization that will move resources and equip people to serve those less fortunate, here in the United States and abroad. We believe that God wants us to serve others. That He wants us to care for those who can not care for themselves. We believe that He wants us to show Him love by doing this and we want to show Him love. We know that God is love and we know that God loves. And we know, don’t we, just how loved we are and how good it is to be forgiven and redeemed. How can we not share that love with others? How can we not share that freedom with others? And how can we not love the ones that He loves? We must. We must tend to the ones He loves. We must love others at least as well as we love ourselves. Quite a few years ago, I was deep in despair. My marriage was ending, I had four hurting children, I had a broken heart. I cried out to the Lord and He answered me with Joel 2:25. He promised me restoration. And then one day, I met a man online and we were chatting on instant messenger. I was telling him the story of my divorce and he said, “There’s a verse I’ve always loved for situations like this.” And then, he quoted Joel 2:25. And eight months later we got married. Joel 2:25 became our family’s life verse. We know how He restores. My life has been a restoration story. God has restored my soul on every level. He has restored my life again and again. He restores my hope, my heart and my circumstances over and over. I want to say thank you to Him by bringing restoration into the lives of others. I want to be His hands and feet, offering restoration to those in need. So, that’s where we are. We are only just beginning, but we have identified our first project. And that is what I want to share with you today. We can start funneling resources to those less fortunate than ourselves today! We will begin with the Good Samaritan Orphan Home. 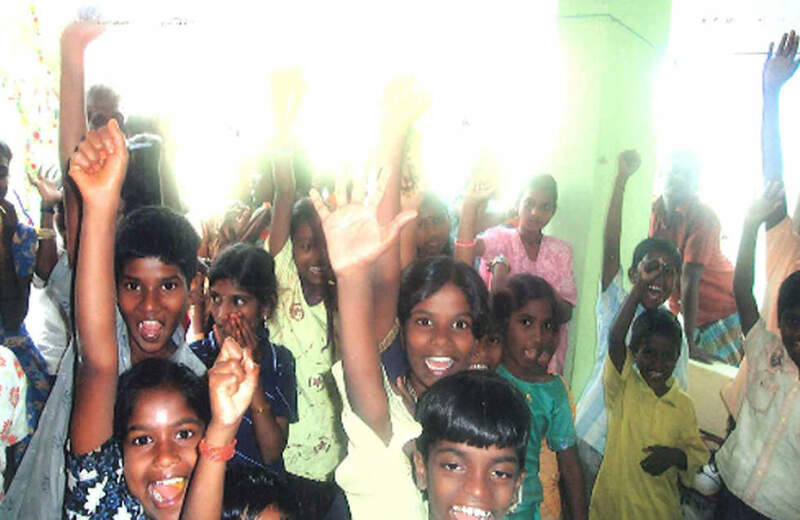 These are the children of the Good Samaritan Orphan Home in India. They come from an impoverished area. These are children who either have no parents or their parents are unable to care for them. There are fifty four and they are each fearfully and wonderfully made. Little people with eternal significance, people who are loved of God. It costs $25 per month to provide for each child- only $25 to feed, clothe and educate these precious ones. I think I spend $25 per month on Starbucks alone. Not to go all Sally Struthers on you, but it’s less than a dollar a day! Twenty one of these children have what their caretaker calls “Foster Parents”. These are the people who have committed $25 per day for their care. That leaves 33 that still need sponsors. 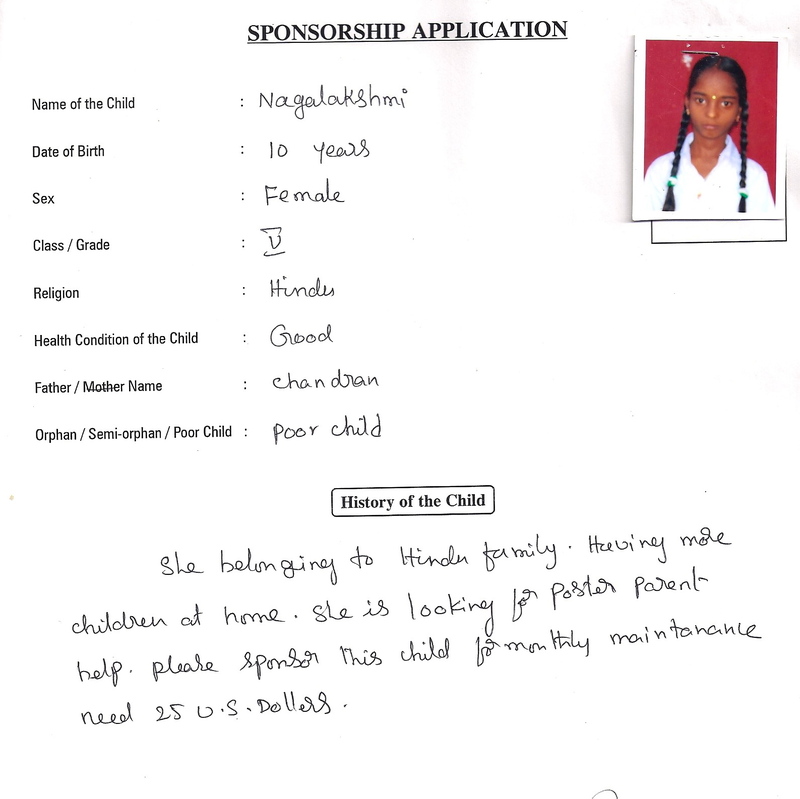 We sponsor two children, Anisha and Nagalaskemi. Wouldn’t you like to make a difference in the lives of children like these? These women are in need. In need of food, shelter, clothing and medications. 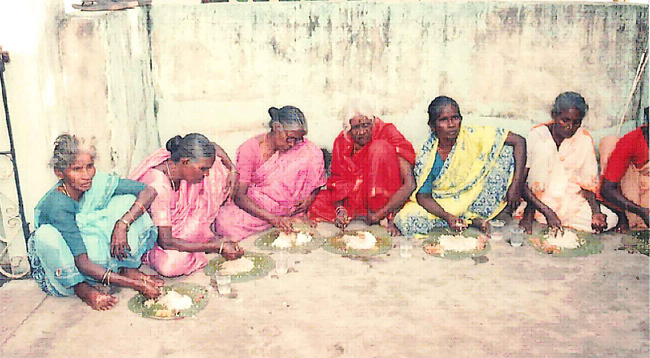 The cost to support one of these elderly ladies is only $30 per month. As of now, there are 19 women at the widow’s home. Only 6 have “foster parents”. I’m asking for your help, friends and readers. I spoke with Peter on the phone today about the work that he’s doing in India. We spoke of the children and the widows and how they pray for sponsorships, how they pray for provision. You know, they don’t struggle with doubt…they know that the Lord will come through for them. “We just pray that God will bring sponsors.” Peter said. 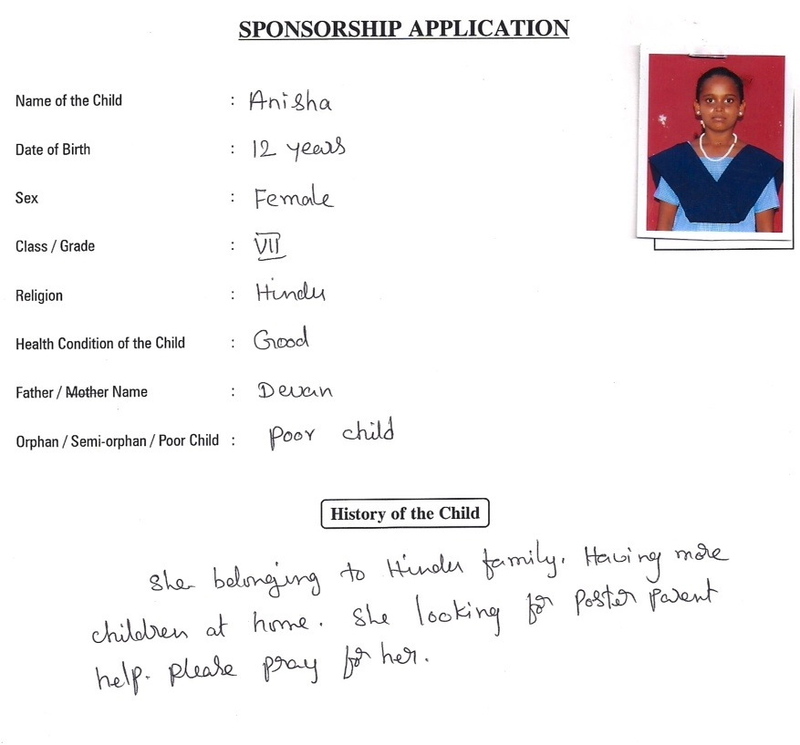 I pray that too and I’m asking, will you prayerfully consider supporting one of these widows or orphans? Or, if you can’t afford the full amount, would you commit to sending $5 per month, $10 per month, $15 per month? Perhaps you can’t commit to a monthly gift, but would like to give a one time gift to help with some of their other projects. Right now, they are in the process of adding bathrooms to their orphan home. (They had only ONE!) And they just deepened the well that brings fresh water to them all. They now need to purchase a water tank that will allow the well to function. The cost is 20,000 rupees. Or…about $380. This is an actual need, a need that you can help meet. Fresh water for women, children and the staff of Good Samaritan. Or, right now, the buffalo that supplies the children with all of their milk is pregnant. 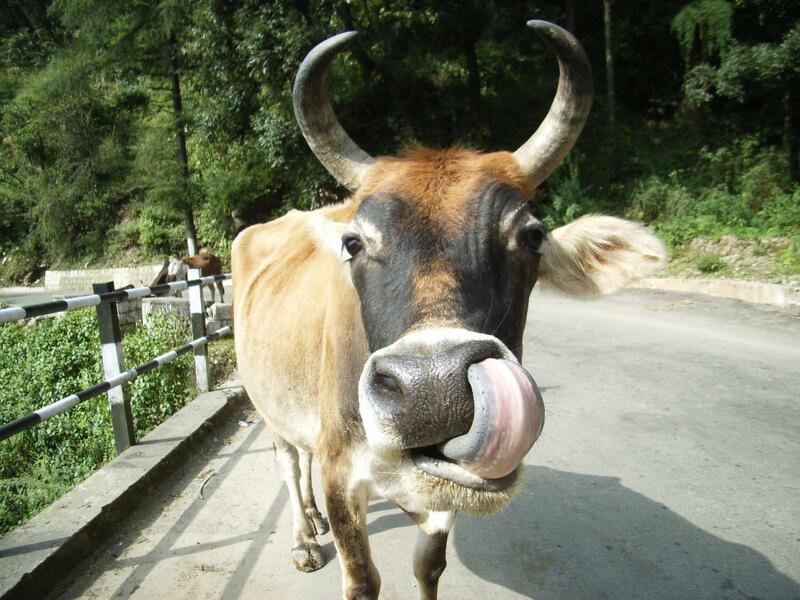 Did you know that pregnant buffaloes don’t give milk? Well, they don’t. Peter told me today on the phone that there is no milk for the children and he is having to go out daily and buy milk at least for the sick children. “How much would it cost to buy milk for all of them during the time that the buffalo isn’t giving milk?” Peter’s answer was, “300 rupees a day…and that would be until January or February.” Dear ones, did you know that 300 rupees is about $5.70. $5.70 is all that is needed each day to provide 54 children with milk. That’s only $171 for the whole month…or around $600 for the buffalo’s entire maternity leave. Because you see, there are already 20 more children in neighboring villages who are waiting for a spot at the Good Samaritan Orphan Home, 20 more children who need food, clothing, education. 20 more lives that we can help change. But Peter can’t bring them in until support for these others has been met. Be sure and write India Mission/Water Tank or India Mission/sponsorship or India Mission/Buffalo milk in the memo section. The other thing you can do is click Here. Be sure and click the drop down menu and choose India Mission. That part’s important! Please let me know if you’ve chosen to give. You can let me know in the comments section, you can email me at joel2twentyfive@gmail.com or you can just come on over and we’ll talk about it! Do this with me, friends! I promise you won’t regret it and that God will honor your giving. That’s how He is. He loves to see us love each other! Since the last time I blogged, a few things have happened. Here are the highlights. Julia got her driver’s license and now she’s a real grown up. I can check her off of my list. She’s twenty, she has a job, she’s rooted in her faith and now she can drive. She’s a lovely young woman and I’m very proud of the grown up that she has become…but why do I still feel like she’s five years old when I see her driving away? I keep thinking about how when she was a baby and when she was a small child, I was so paranoid about her riding in cars with anyone but me. (I know, I know, but I was nineteen and in a broken place- just so sure I didn’t deserve such a gift as this wonderful little child. I was fearful for a long time about something happening to her. That’s a blog for another time.) Now I must wave good bye as she cheerfully drives away. It’s good and right when they grow up. We celebrate it, but there’s a part of us that grieves. And there’s a part of ME that’s always going to worry. Aubrey went to her very first high school dance. She looked beautiful and I was remembering the tiny little blonde haired girl who cried every day of preschool…not wanting to be away from me. That little person has turned into an independent, clever, wickedly funny young woman. And then I said goodbye to my thirties and hello to my forties! Yep, it’s happened. I’m a real grown up now too. I had a wonderful birthday with family and friends. My sister and Zia made this beautiful board (Aubrey said it was a science fair project about me.) with pictures from ALL of my forty years and words that my family and friends used to describe me. Humbling. Honoring. It made me cry. I could only read two or three at a time. I am loved so well. More celebrating the next day at my mom and dad’s and we just counted ourselves very, very blessed. There are two constants in life. One is God. The other is that things are always changing. I got thinking about how different forty looks for me than thirty. How different thirty looked than twenty! I’m in a place I didn’t know existed, living a life I never could’ve imagined at thirty. I want to go back and tell thirty year old me to hang in there, that it does get better and that God stays the same the whole way through. Tomorrow, I’m going to be writing a post with an important announcement in it. Our life here is about to change and we hope that change moves the world. We’re stepping up our world changing efforts and I don’t want you to miss out on it. Check back tomorrow, because I have some bold questions for you!